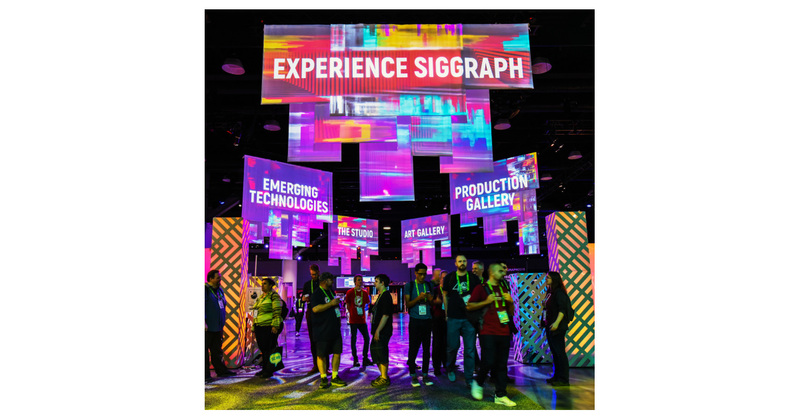 VANCOUVER, British Columbia–(BUSINESS WIRE)–SIGGRAPH 2018, the world’s leading annual interdisciplinary educational event showcasing the latest in computer graphics and interactive techniques, has concluded in Vancouver, BC, with over 16,500 attendees from around the world. The 45th SIGGRAPH conference took place 12–16 August at the Vancouver Convention Centre. ACM, the Association for Computing Machinery, is the world's largest educational and scientific computing society, uniting educators, researchers, and professionals to inspire dialogue, share resources, and address the field's challenges. ACM SIGGRAPH is a special interest group within ACM that serves as an interdisciplinary community for members in research, technology, and applications in computer graphics and interactive techniques. SIGGRAPH is the world’s leading annual interdisciplinary educational experience showcasing the latest in computer graphics and interactive techniques. SIGGRAPH 2018, marking the 45th annual conference hosted by ACM SIGGRAPH, took place from 12–16 August at the Vancouver Convention Centre in Vancouver, B.C.